Price is for one Seat! Does not include brackets or sidemounts. The ultimate professional racing shell for the HANS system. Our top product in the racing shell sector is designed for use with the HANS system and is available in four versions. The XL version is particularly well-suited to the larger driver. 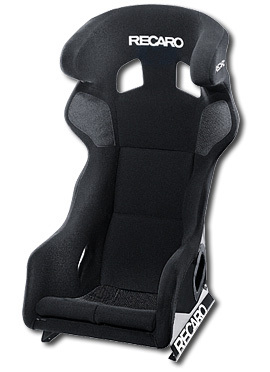 A flexible adapter that enables fore-aft adjustment of the racing seats is now available for the RECARO Pro Racer SPA/SPG seats. It is noted for its durability and stability. It is suitable for extreme racing and withstands the hardest of loads.